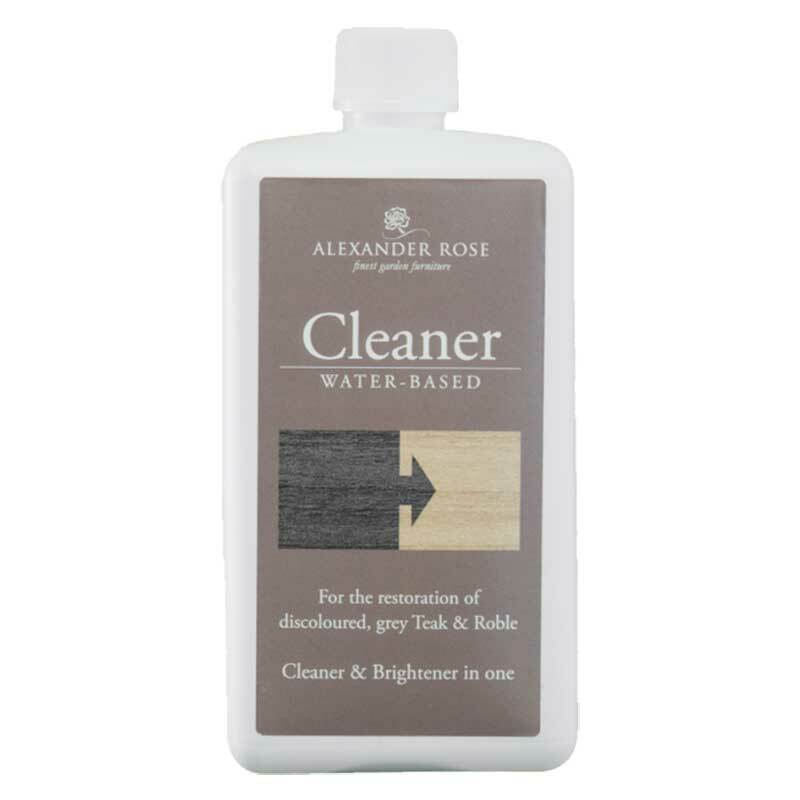 For the restoration of discoloured, grey Teak and Roble hardwoods. Before using the cleaner, eye protection and rubber gloves should be worn. Cover the ground under your working area before commencing cleaning. Allow to soak for 3 minutes. Brush the furniture clean with a scrubbing pad in the direction of the grain. Rinse furniture well with water. For prolonged colour, leave the furniture to dry and treat with Protector. 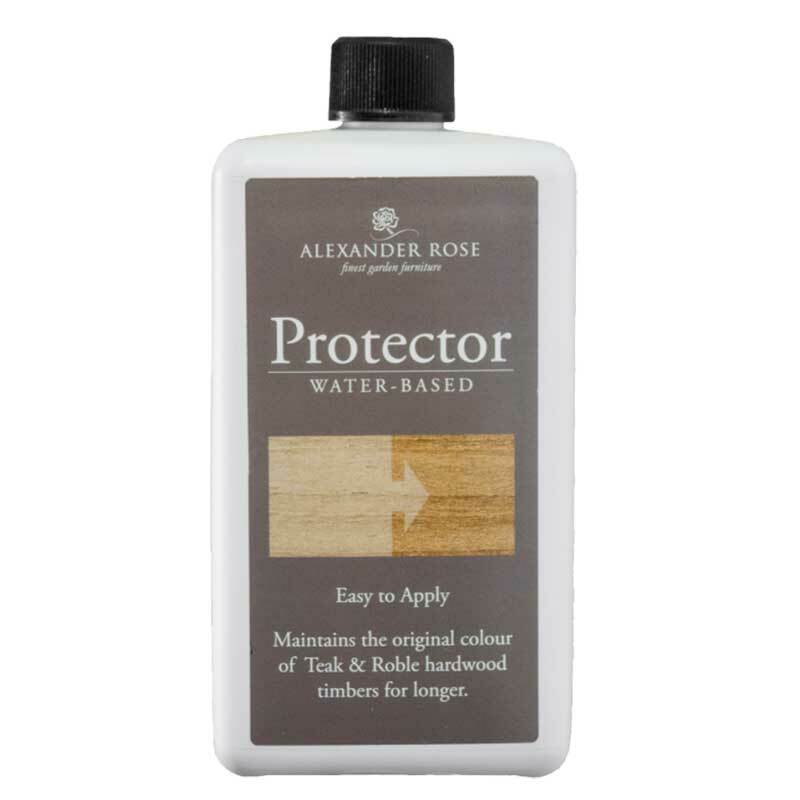 If you would like further information about Alexander Rose Golden Teak Cleaner, please contact our garden centre at Shawbury just outside Shrewsbury in Shropshire, by calling 01939 251315 or emailing.